The explorer Sir Thomas Mitchell described the western Victorian plains as “an open grassy country, extending as far as we could see … resembling a nobleman’s park on a gigantic scale”. His fellow pioneer John Batman, in 1835, described the grassy plains to the north and west of what is now Melbourne as “the most beautiful sheep pasturage I ever saw in my life”. Victoria’s volcanic plain, home to a rich variety of wildflowers. 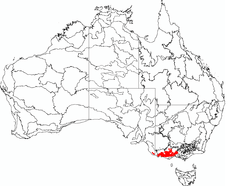 The native temperate grasslands of southeastern Australia are a group of ecosystems defined mainly by the presence of dominant native grasses. Trees are either completely absent, or occur in very low numbers. In Victoria, native grasslands can be found on the volcanic plains that stretch from Melbourne as far west as Hamilton. Despite their rather plain name, native grasslands are extraordinarily diverse, containing many species of wildflowers that grow between the tussocks of grasses. It is possible to find more than 25 different plant species in a single square metre of native grassland, and the wildflowers produce dazzling displays of colour during spring. The animals that inhabit these grasslands are equally diverse and fascinating. 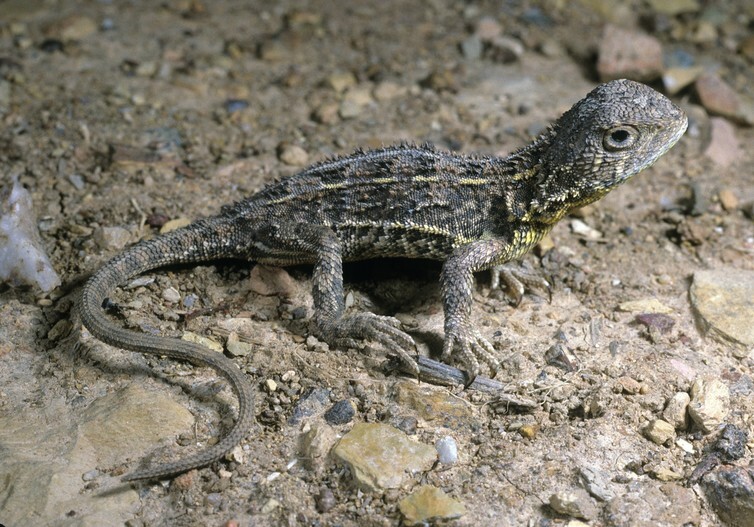 The striped legless lizard, grassland earless dragon and golden sun moth are three that live there today, although many others are now locally extinct. One can only imagine how impressive it would have been to see brolgas, rufous bettongs and eastern barred bandicoots roaming, nesting and digging on these plains. Native grasslands were a significant food source for Aboriginal people. They provided both meat (kangaroos and other grazing animals were attracted to the open grassy landscapes) and vegetables. Many of the native forb plants produce energy-rich tubers or bulbs that can be eaten much like a potato. These made up a large part of the diet of Aboriginal people living in these areas. Fire is critical to maintaining the diversity and health of native grasslands, and fire regimes used by Indigenous people are an important aspect of grassland management. The story of Victoria’s native grasslands since European settlement is not a happy one. Grasslands offer extremely fertile land (by Australian standards, at least), which made them attractive for agriculture and grazing. Overgrazing by sheep and cattle, the addition of fertilisers to “improve” pastures, and changes to the frequency and extent of fires in the landscape led to a noticeable degradation of Victoria’s native grasslands by the early 20th century. 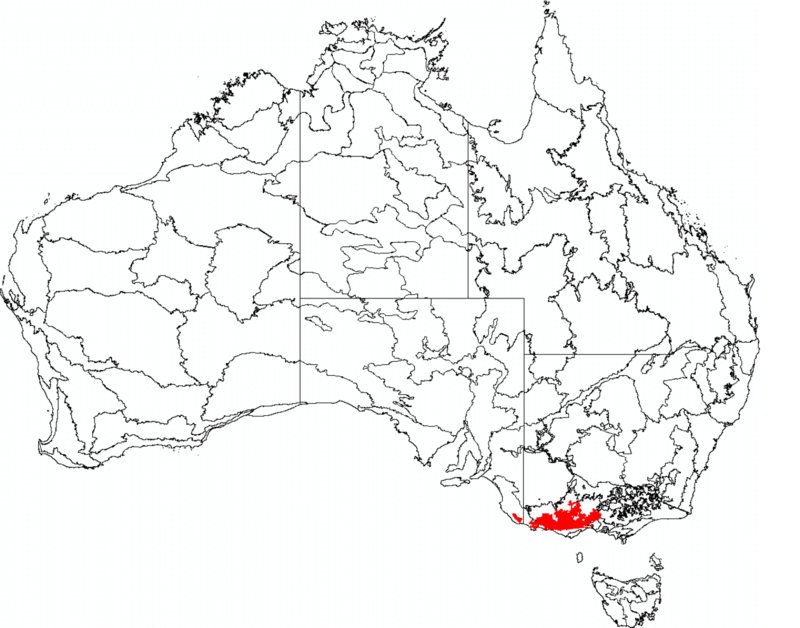 Since then, habitat loss and degradation from intensive grazing, cropping and – more recently – urbanisation have reduced the native grasslands of the Victorian volcanic plain to less than 1% of their original extent (as documented in the paper titled “Vegetation of the Victorian Volcanic Plain” available here). Land clearing for urban development continues to pose a major threat to Victoria’s native grasslands. Many remnants exist in and around Melbourne’s key urban growth corridors. A 15,000-hectare grassland reserve is planned to the west of the city to offset the losses that will occur as Melbourne grows. This is an exciting prospect – such a large reserve would provide an opportunity to showcase this threatened ecosystem on a landscape-wide scale. But successful implementation of this reserve requires significant investment in restoration and management, and only time will tell whether it truly compensates for the inevitable losses elsewhere. A major challenge for the conservation of Victoria’s native grasslands is to maintain the patches that remain. These remnants, nestled in agricultural and urban landscapes, are often small and fragmented, and are subject to threats such as weed invasion and broad-scale use of herbicides and fertilisers. Without regular fires or some other form of biomass removal, the native grasses grow too big and smother the wildflowers. Over time, grasslands can lose their species diversity, and with it the intricate beauty of their varied wildflowers. Digital composite created for Imagine The Future (ITF) Inc. by Csaba Szamosy, 1996, from photographs by James Ross (Victorian National Parks Association), Mike Martin (Victoria University), Tom Wheller (VNPA), Vanessa Craigee (Department of Natural Resources and Environment), John Seebeck (NRE) and Ian McCann (courtesy NRE/McCann Collection), and based on a concept by Merrill Findlay for ITF. On the face of it, the prognosis for these grasslands does not look great. They are certainly one of Australia’s most endangered ecosystems, and their conservation must necessarily occur alongside human-dominated land uses. This brings social challenges as well as ecological ones. 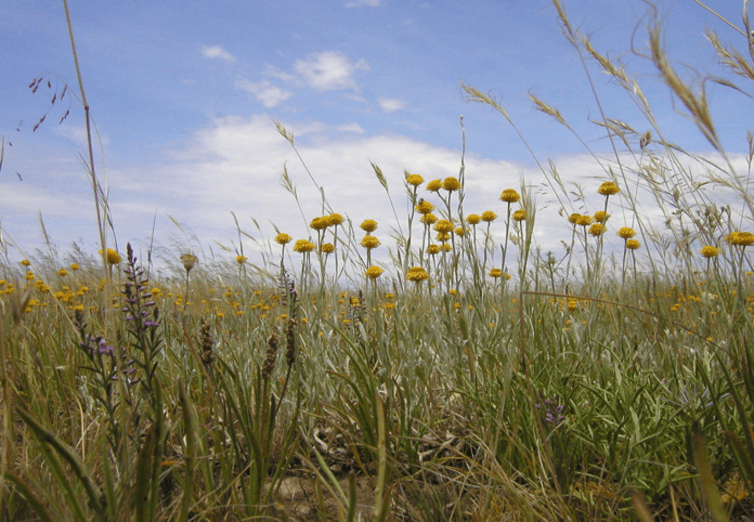 Native grasslands suffer from a public relations problem. The need for regular fires is not always well aligned with objectives for human land uses. What’s more, all those wildflowers only appear in season, and even then their beauty is only really evident at close quarters. But grasslands have a few tricks up their sleeves. First, high-quality grasslands can be maintained in relatively small patches. There are some great examples around Melbourne, including the Evans Street Native Grassland, which covers just 4 hectares. But as tiny as they are, these reserves can be just as diverse as larger grassland remnants. Second, native grasslands can be surprisingly resilient, in both urban and agricultural landscapes. A case in point is the tiny grassland at the Watergardens shopping centre northwest of Melbourne, which has been maintained despite being completely surrounded by a car park. Several high-quality grasslands in pastoral areas have been maintained for decades under grazing at low stocking rates. Third, native grasslands represent a great opportunity to engage urban residents with nature in cities. Many beautiful remnants exist in some of Melbourne’s newest suburbs. Some already benefit from the efforts of dedicated community groups, while others are still waiting to be discovered. Grasslands in other parts of the world, such as North America’s prairies or the African savannah, are viewed with romanticism and awe. 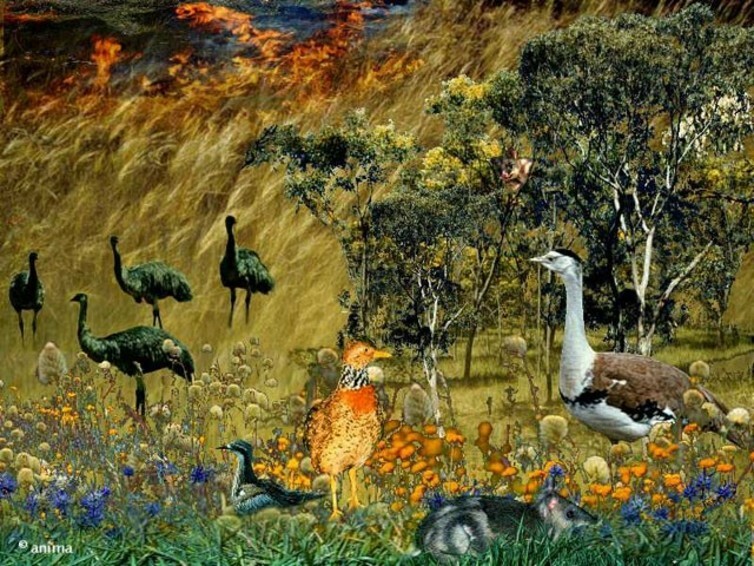 In the Australian consciousness, grasslands take a back seat to the mythical outback. But the future of the grasslands of southeastern Victoria may well depend on our capacity to generate the same public profile for this truly remarkable but critically endangered ecosystem. The link below is to a photo gallery of photos of various sites throughout western Victoria.